There were 70 people present. 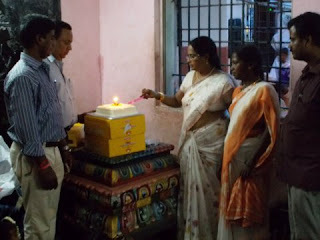 Mr.Shenoy KSTBA , Mr.Lokesk from RED CROSS (Program co ordinator ), Mrs.Anitha from GOOD NEIGHBOURS INDIA. Mr.Arulraj our DE participated in that program & Mr. Arulraj gave a brief about the short film & about IDF. 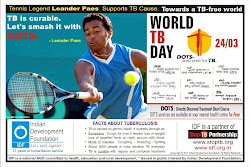 extended support to IDF's leprosy/ TB and education projects. Mrs.Seema Bhatnagar, Principal of DPS congratulated IDF team for the excellent national development projects. Dr. ARK Pillai, Dr. Narayan Iyer, Kovid Oli and Simon Peter expressed sincere thanks to team DPS for their kind and continued support to various humanitarian projects. 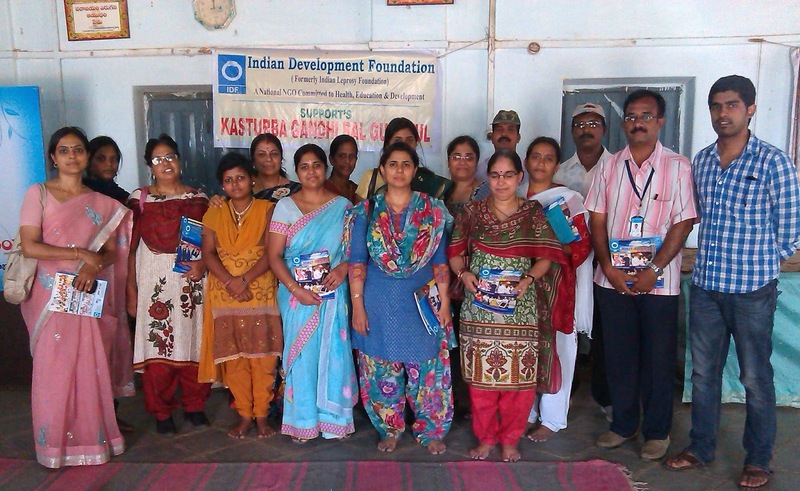 Indian Development Foundation IDF arranged a sensitization programme for a group of teachers from Secunderabad Public School, Secunderabad.The teachers visited Kasturba Gandhi Bal Gurukul a Hydershakote, Langehouse, Hyderabad . The teachers collected books, clothes and food for the children. They met the children and all other inmates and interacted with them. The programme will be a part of the CAS activities of IDF with the SPS students. The idea is to engage students in meaningful activities and give students the means to learn through experience and how to take actions in the service of others. The teachers would further form teams in the school and sensitize the rest of teachers to ensure the CAS activity runs smoothly. 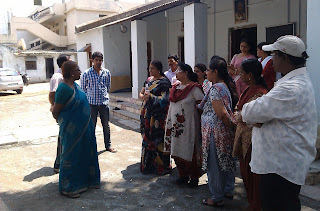 All the teachers appreciated the activities and assured IDF to help in all possible ways. Dr.Nikhil from Osmania general hospital- IDF social ambassador also assisted in the Prog. IDF Southern Region Officers Meet was held at Society of Pilar at Pilar, Goa on 22nd and 23rd April 2013. The meeting was held under the able leadership of Dr. A.R.K. Pillai, founder President, IDF. The team discussed on strengthening IDF operation in different parts of India, opening more Bal Gurukuls, youth empowerment programmes, women empowerment programmes with village development projects. 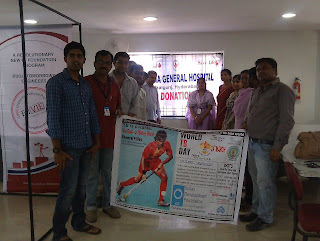 The team also stressed on the need for TB awareness among in different regions with the help of audio-visual presentation..
IDF in association with Osmania general hospital blood bank , Hyderabad organized a blood donation camp in Enlume Technologies , Hyderabad. 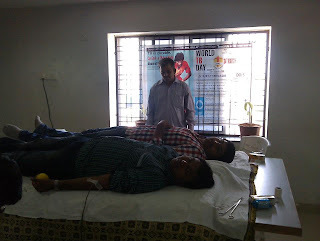 Almost all the employees donated blood today. This blood will be used in Osmania hospital and would be given FREE OF COST to patients unlike in other blood banks where patients have to purchase blood. This would benefit lot of poor patients. IDF thanks all the employees of Enlume Tech who came forward on our appeal for this noble cause. IDF thanks Mr.Ramthirdh , Director Enlume technologies , Mrs.Rajani HR Manager , Mr,Srikant Admin, Dr.Swarjya Kumari, Associate professor OGH Blood bank and her team for coordinating the entire program and making excellent arrangements. 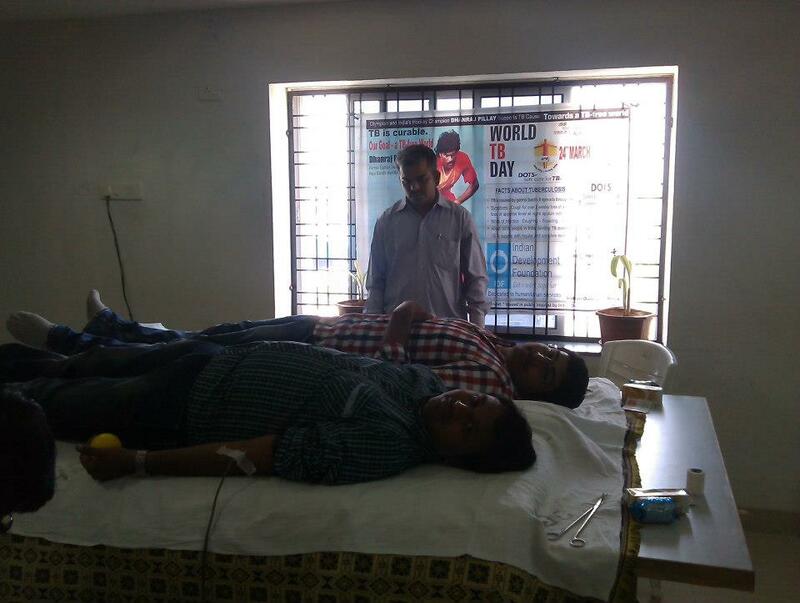 Special thanks to Dr.Shravan, Dr.Sanjeev and Dr.Nikhil for initiating this program and creating awareness to donate blood to government hospitals. Mrs. R. Rajammal, Teacher at Kendriya Vidyalaya No.2, AFS, Tambaram, Chennai, is also the Social Ambassador of Indian Development Foundation. 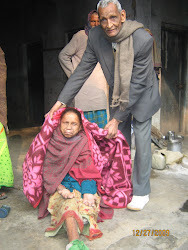 Mrs. Rajammal takes part in various social development projects. She is known for women empowerment programme in The Nilgiris region in Tamil Nadu. Mrs. Rajammal is a role model for many and also a source of inspiration. Article on Mrs. R. Rajammal published in The Hindu - 15-08-2010 is reproduced below. It was not before the age of 15 that she was first taught the English alphabet. Now, 35 years later, she is a successful teacher in the same subject and is getting ready to leave for New Delhi to receive the Dr. Radhakrishnan Best Teacher Award from President Pratibha Devisingh Patil. 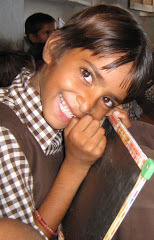 The fact that R.Rajammal is the first generation learner from her family may not be uncommon. But that she belongs to the Badagar community from remote Kethorai Village of Kethi Village Panchayat in Nilgiris District and has come thus far is an inspiring story. People travelling on the famous Nilgiri Mountain Railway might have noticed the Kethi railway station Coonoor and Udhagamandalam. Her native village Kethorai is a good five-kilometre trek from there. Ms. Rajammal teaches English and Science to primary students at Kendriya Vidyalaya (II) at Madambakkam near Tambaram. Recognising her rise from modest backgrounds, her contribution to teaching and the Guides movement, the Ministry of Human Resource Development selected her for the prestigious award. Our thanks to team City Plus for their constant social support. IDF launches yet another Sarva Sakhi Swabhimaan project in Nalgonda. On 9-04-2013 at Nalgonda in Andhra Pradesh...... IDF in collaboration with Ashirwad Steels, a leading steel company in Nalgonda and Charumathi Child Care Centre launched a Tailoring Training Centre for the HIV/AIDS infected women/ widows from Nalgonda and nearby villages. Ashirwad IDF Kuttu Shikshana Kendramwas inaugurated by the district Collector Mr.Muktheswar Rao and his wife Mrs.Hema. SBI Regional manager Mr.Ramakant Rao , IMA President Dr.Rama Rao, Ashirwad Steels GMs Mr.Naresh Bhatia and Mr.M P Shukla, IBS TV Channel Director Mrs.A.Sailaja, Physically handicapped association President, Veliminadu Lorry transport association President, Mr.Swamy and Mr.B.Narasimha Chairman Alpha School graced the occasion. The District was very happy with the efforts of IDF and appreciated by saying, " IDF identifies the gaps and addresses it excellently". SBI Regional Manager Mr.Ramakant Rao informed the gathering that women who successfully get trained will be provided with sewing machines. IDF thanks Ashirwad steel employees, Veliminadu Lorry transport association for sponsoring the sewing machines. Mr.Nagasena Reddy of Charumathi Centre expressed that he would strive and make this centre a skill development centre in all aspects. He thanked IDF team for the support and encouragement. 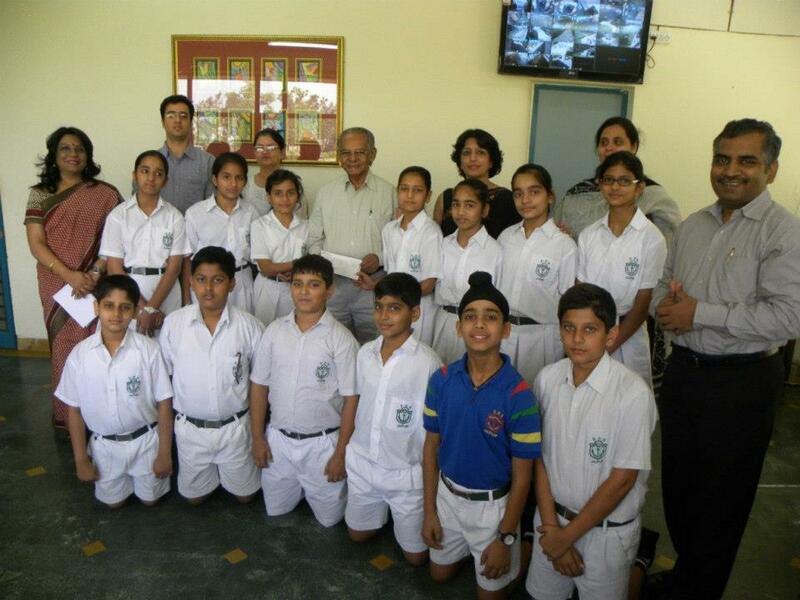 A special appreciation to our social ambassador Mrs.Chethna Bhatia and Mrs.Hema for their support and involvement. IDF runs 115 Bal Gurukuls spread across India. IDF Bal Gurukuls are a great boon to the children. EDUCATE A CHILD - ENRICH YOUR LIFE. 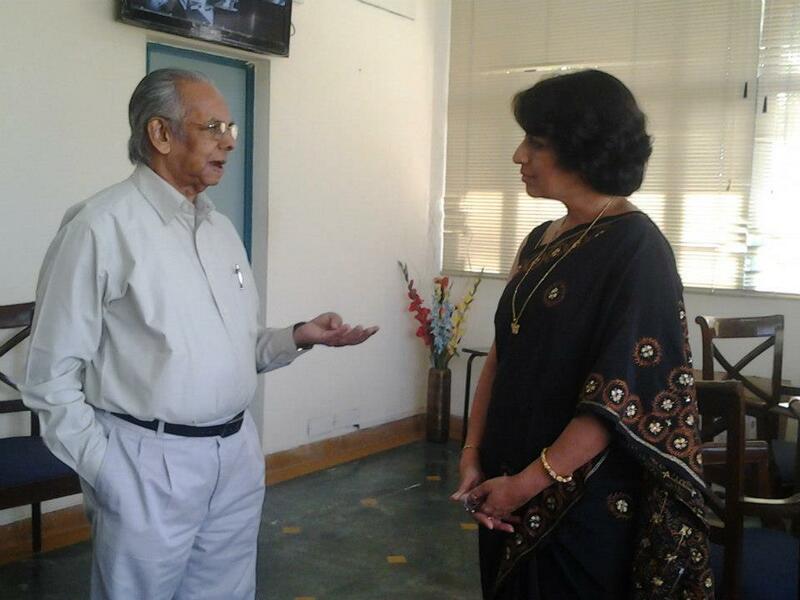 A two-day workshop on `Scientific Thinking Skills for Teachers' was organized by Dr.A.P. 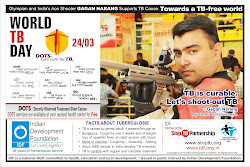 Jayaraman, Nuclear and Management Scientist (Trustee IDF) in Mumbai. Dr. Geetha Mohan, Mrs.Rekha Bajaj, Mrs. R. Rajammal, Mrs. Kamakshi Siva, Mrs. Sabiha More, Mrs. Geetha Rajasekharan, Mrs. Radha Jayaraman, Prof. Prajesh Trotsky, Dr. A.R.K. Pillai, Mrs. Sreelekha and Dr. Narayan Iyer. 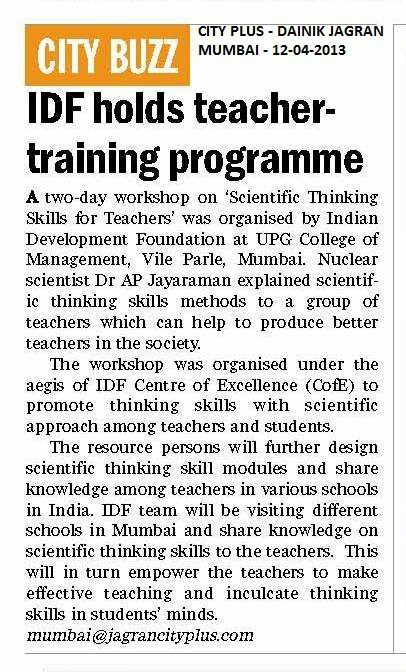 The workshop was organized under the aegis of IDF Centre of Excellence (CofE) to promote thinking skills with scientific approach among teachers and students. The resource persons will further design scientific thinking skill modules and share knowledge among teachers in various schools in India. Rani Seethai Achi Hr. Sec. School, Annamalai Nagar, Chidambaram, Cuddalore Dist, Tamil Nadu has been a constant support of IDF's leprosy, TB and education projects. IDF Social Ambassador Shiloh Jessie Francisca (Std XI) from the same school has been constantly supporting and motivating the young minds to do social projects. This year she has sponsored 8 children in IDF Bal Gurukuls and in all for over a decade, she has sponsored for nearly 100 students. Mr. S. Sreeram, Manager, IDF visited the school on 4th April 2013 and thanked the schoolteam for their constant support. IDF salutes the schoolteam. IDF Celebrates Easter with the Children of the Annam Methipara Bal Gurukul, Saidapet, Chennai on 1st of April 2013. IDF Team comprising Mr. Sreeram, Mr. Sathyamurthy, Mr. Navaneethakrishnan and Mrs. Kamakshi Siva participated at the event, greeted all the children and presented gifts. IDF young social ambassadors also took active part in the celebrations held on 1st of April 2013. 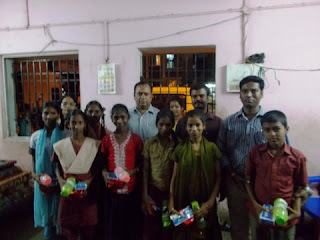 Mr. Tomi Methipara from Chicago USA sponsored the Easter event and conveyed special greetings to all the children.